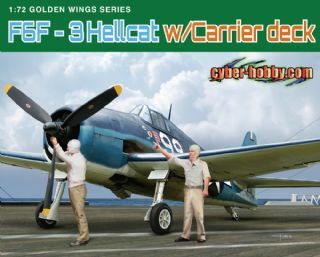 Cyber-Hobby previously produced its first ever 1/72 scale model kit in its Golden Wings series, a Curtiss SB2C-4 Helldiver. The Helldiver was a carrier-based dive-bomber widely used by the US Navy (USN) during WWII. 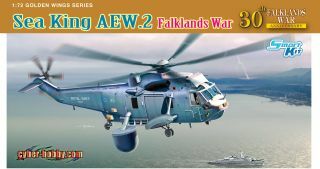 The twin-seat SB2C was roundly criticized for its handling characteristics, range and reliability, but nevertheless it achieved good results in combat after improvements were made during the course of production. 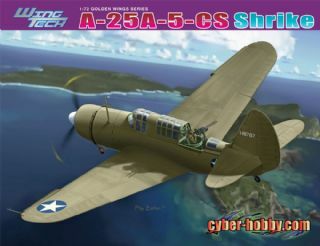 It was in the thick of such battles as Rabaul, the Marianas, the Philippines, Taiwan, Iwo Jima, the Ryuku Islands and Okinawa. 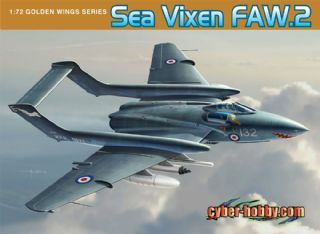 One of its strengths was the ability to carry a significant amount of munitions, plus it had an internal bomb bay. Some 7,140 Helldivers were manufactured in total. 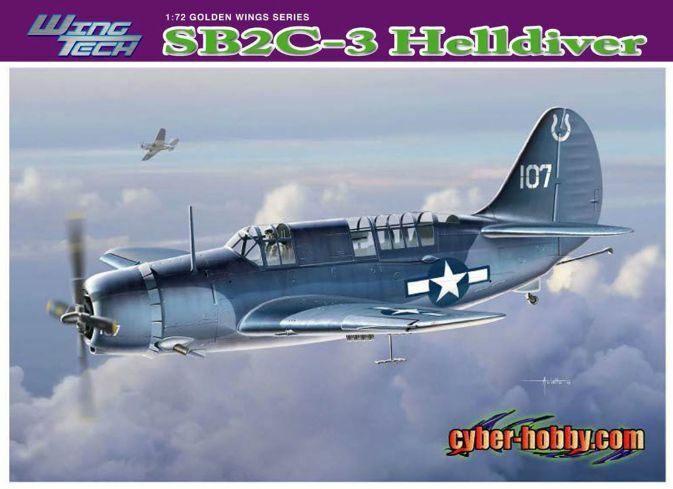 However, Cyber-Hobby is now pleased to be offering a slightly earlier variant of the Helldiver, an SB2C-3. 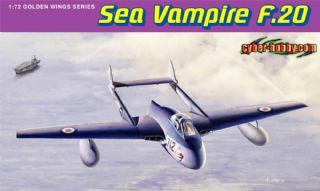 To improve performance, this type had received a 1,900hp R-2600-20 engine and a four-bladed propeller. 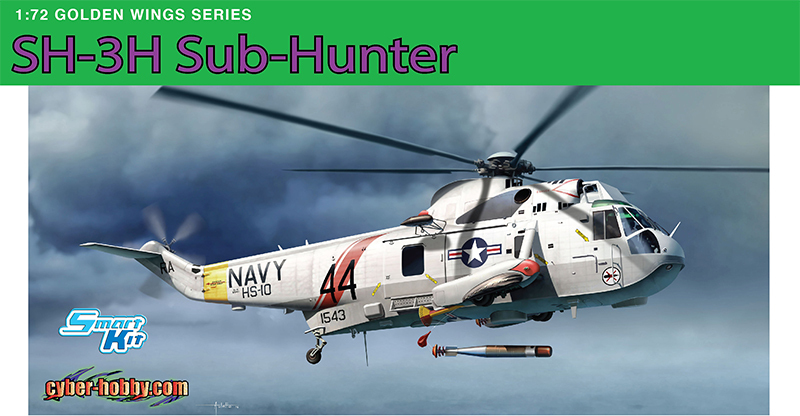 Some 1,112 SB2C-3 Helldivers were produced by Curtiss. 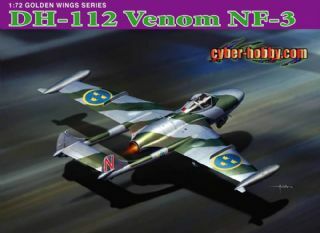 Of course, this is just the second 1/72 scale kit in Cyber-Hobby's refined Wing-Tech series. 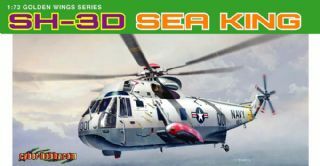 The SB2C-3 employs high-tech innovations and widely uses slide molds to enable excellent levels of detail and easy construction. 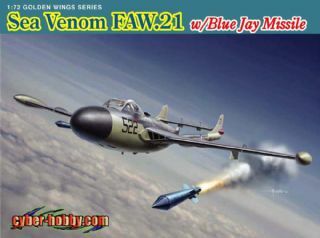 Panel lines are sharply etched into the plastic, and a bomb payload is on offer too. 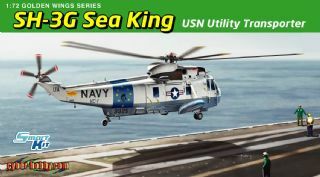 Furthermore, as a carrier-based aircraft, modelers can choose to show the wings folded or extended according to their preference, plus the landing gear can be displayed either lowered or raised. Brand new dive flaps were created in photo-etched metal to achieve the correct scale thickness. The cockpit is fully detailed as well. 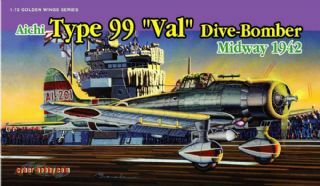 The Helldiver was the last dive-bomber operated by the USN and now, thanks to Cyber-Hobby, modelers can get a slice of Pacific war action! 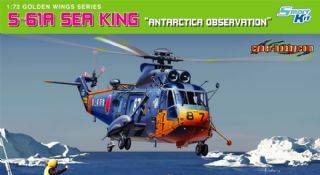 1/72 S-61A SeaKing "Antracticia Observation"